In the aftermath of a hurricane, it’s more important than ever to keep your family, your pets, and your home safe. 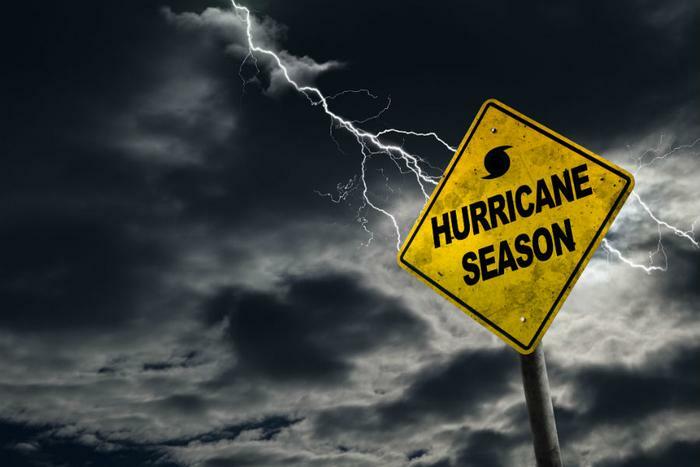 The Centers for Disease Control and Prevention wants to ensure the safety of residents affected by the Hurricane Florence and has posted helpful tips for those who were in the storm’s path. Whether indoors or outdoors, it’s important to know -- and follow -- the best protocol after a storm. Steering clear of wet electrical devices is the CDC’s first important tip for residents. After a storm, if any wet electrical devices are still plugged in, residents should turn off all power at the main breaker. From there, it’s best to wait for an electrician to evaluate the device before using it again. The CDC has even more information on electrical safety and generators on its website. In the same vein, the CDC encourages residents to use flashlights rather than candles. Should candles be absolutely necessary, the CDC warns residents to always stay near lit candles and keep them away from anything that could catch fire. For those with power outages, the CDC has outlined a number of safety options to be aware of until power is restored. Leaving the premises as soon as possible and calling 911 should the carbon monoxide detector start beeping. It’s also important to be aware of damaged buildings after a storm. Hurricanes and other natural disasters often create a lot of internal damage that may be unrecognizable to the naked eye. The CDC urges residents to make sure a building is safe before entering, and to leave right away should there be any strange sounds or shifting noises. Following a storm, it’s important to be aware of any stray animals or bugs. Flooded areas often attract mosquitos or other bugs that carry diseases, and the CDC encourages people to wear long sleeves, pants, and socks when outdoors, and to always wear bug spray. Any stray or wild animals should be reported to local health departments. Those in flooded areas should also stay away from floodwater. Following warning signs about floods/detours is key, and residents shouldn’t try to drive through flooded areas -- the water can be deeper than it looks. Anyone that comes in contact with floodwater is encouraged to wash their hands immediately or use hand-sanitizer, as floodwater typically carries germs. Additionally, areas with fallen power lines should be handled with great care. Any fallen lines should be reported to the electric company as soon as possible. The CDC Fact Sheet has more information on cleaning up safely following a hurricane.